In the battle between hardware and software, it seems like hardware solutions are slowly losing out to SaaS and cloud solutions. Big data leaders like Google, Amazon, etc. are providing low-cost machines that run on open source software, which is making database implementations for small and medium size businesses easier and cheaper than ever. Though there’s still plenty of room for large-scale hardware installations in the business world, when companies start turning towards database and analytics solutions that are far more affordable, where does that leave a giant hardware provider like Oracle vs SAP, which is offering smaller, lower cost solutions? In the past few months, SAP has been positioning itself as a database provider in addition to its ERP software offerings, which puts it in direct contention with Oracle. 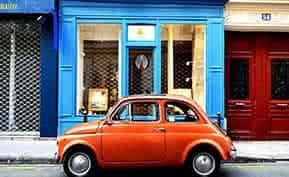 SAP’s HANA in-memory platform is geared specifically towards small and medium sized enterprises, a demographic that most likely finds Oracle’s half a million to multi-million dollar installations far too expensive. Of course, SAP and Oracle are no strangers to conflict with each other, so it’s no surprise that SAP is continuing to go after Oracle’s weaknesses, which are high-costs and massive hardware installations. Even with additional competition from SAP, Oracle is still the leader since the majority of companies depend on Oracle for their database needs, and SAP itself was one of them not too long ago. However, while Oracle has dominated the relational database sphere, increasing need for big data solutions could very well put Oracle at a disadvantage. With its hardware sales slowing down, it’s definitely within the realm of possibility that Oracle competitors like SAP could swoop in and turn the tables on the hardware giant. Could Oracle Fall Behind in the Cloud? Another issue that Oracle will no doubt face in the coming months is how best to transition to cloud-based services. When it comes to cloud computing, Oracle is still treating it like a traditional infrastructure when it comes to pricing. While the company obviously has a wide variety of cloud software and computing solutions, it still insists on charging by license rather than metering, which is not a model that can compete with the likes of Amazon. Whether that means SAP can get the drop on Oracle or not remains to be seen; but generally speaking, lower prices tend to turn heads. Oracle vs SAP Just Hype? On the other hand, Doug Henschen over at InformationWeek contends that the Oracle vs SAP discussion is mostly hype on the part of SAP. While SAP has made a good show of claiming that HANA is poised to take over a decent share of the database market, Oracle’s executive VP Thomas Kurian came back today with claims that HANA would cost more than Exalytics and doesn’t even support SQL (which Henschen notes is not true). With so many accusations flying back and forth, but little hard data to go on, what is a would-be buyer supposed to think? 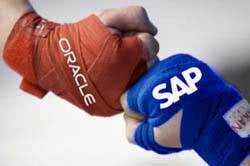 What do you think of the “battle” between Oracle and SAP? Is it all hype, or does the hardware giant have something to worry about?